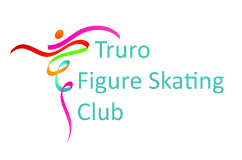 Annette Hiltz is a National Level Coach and the head coach of the Truro Figure Skating Club. She has 28 years of coaching experience at all levels of skating and is a Level 3 certified coach with Gold continuing education status. Annette is certified by Skate Canada to coach Figure Skating, CanSkate, PowerSkate and Special Olympics. She has coached skaters to a National and International level. Sarah began skating at the age of four through Truro’s CanSkate program, and continued skating and competing for the TFSC until age 17. After completing her Education degree in 2013 she returned home to teach in Truro. Sarah is a certified Skate Canada CanSkate and Level One STARSkate coach.